The 2018 FIFA World Cup matches in Russia will be attended by 1.5 million foreign fans at 12 stadiums of 11 cities. The organizers intend to do their best to turn the World Cup into a real sporting fiesta and they have employed smart technologies for that. Introduction of advanced IT systems is first of all due to strict FIFA requirements. That is why all sporting arenas have got smart stadium elements. So far, they are just elements since the smart stadium solutions are expensive and it will be hard to keep them repaying the costs once the 2018 World Cup is over. In international practices these are operational business instruments though, and they significantly increase organizers’ revenues from the sporting facilities. 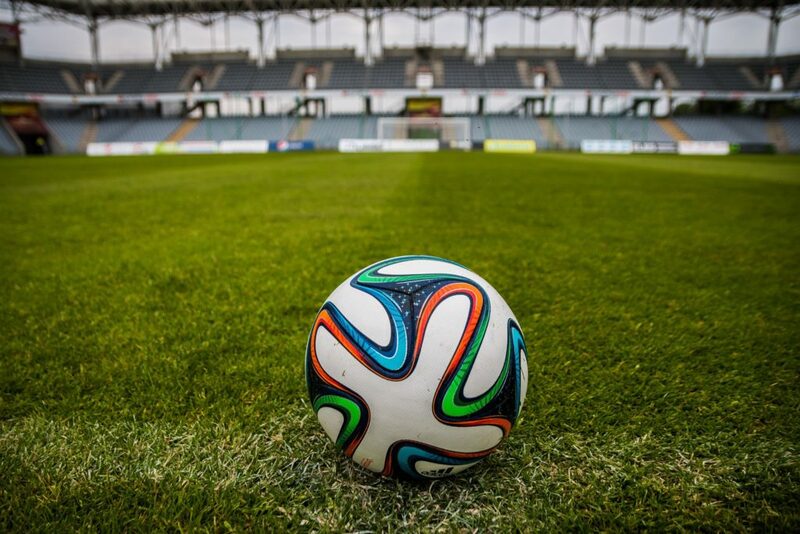 “The 2018 FIFA World Cup is certainly an impetus for introducing innovative IT solutions at sports facilities. But the major driving force is still the investors, since they are not interested in additional comfort of the audience at the sites only, but in IT technologies generating additional returns, too”, Alexey Chuvilin, Business Development Manager at CROC system integrator, says. “Just imagine, a sports stadium is attended by 40 to 80 thousand people a month. That is a huge audience and an enormous database (including information in social media) which marketologists can use”. According to Chuvilin, the solutions that make up a smart-stadium improve quality of the services offered to the audience at the sporting facilities. IT instruments help marketing departments of football clubs to collect personal details of the visitors (their gender, age, interests, etc. ), to establish personalized channels of communicating with them, and they also help clubs owners to attract advertisers. A targeted content at digital screens and in mobile applications, for example, increases audience loyalty by 98%, while Digital Signage technology (centralized content management in a multimedia screens network) in a combination with video analytics help to expand sales by 30%. High speed WiFi offers promising business opportunities too. At Pittsburgh Penguins hockey team’s home smart stadium, CONSOL Energy Center, granting Internet access to and geotargeting of fans resulted in a threefold growth in number of advertisers and a fourfold growth in advertising and sponsorship revenues. That was due to a solution which divided WiFi space at the stadium into several sectors so that contents communicated to, say, VIP areas and the food court visitors, are different. Mobile applications are another necessary component of a commercially successful stadium. A mobile applications of Levi’s Stadium in California offers various services such as making a top-up payment to get a seat upgrade, ordering food from home to collect it at the entrance to the stadium, or requesting an order to be delivered right to the seat. Via that application the recordings of the most interesting situations of a game may be watched, including those shot from the players’ perspective. The stadium is packed with abundant sensors which simplify navigation and can also be successfully used for personal marketing among 70 thousand people. At SAP Arena in Mannheim, a mobile application is used for selling merchandise and souvenirs, it can show the way to the seat having considered a visitor’s preferences and the human traffic on the way. The stadium can accommodate 75 thousand visitors. To make every one of them comfortable, an analytical system collects information on road traffic, weather conditions, availability and choice of tickets, food, seats at the stadium and places at its parking ground. The situation center can tackle traffic jams at the roads leading to the stadium by employing a mobile application offering the most convenient rout. It is noteworthy the entire IT infrastructure at SAP Arena is handled by two operators. Automated solutions and cloud technologies help to optimize operating costs. At one of the stadiums in Brazil where 2014 World Cup football matches took place, turnstiles were installed at the entrance to restrooms to maintain statistics on the number of people who used them during the games. Liquid soap dispensers were linked to Internet and a SAP solution processed the data to monitor the quantity of the remaining soap. The information supplied by the turnstiles was used to dispatch cleaning crews when usage has reached a threshold. At a match attended by 50 thousand people 100 thousand disposable towels and 200 liters of liquid soap were consumed. According to Oscar Perez Córdoba Dávila, Managing Director of the European Association for Stadium Management LaLiga, a proper operational management of a sporting facility may generate serious dividends to the owners. Nowadays, a stadium must operate on a daily basis, not on weekends only. Dávila is confident an arena must be fully integrated in a city infrastructure and yield benefit to the urban community all around the clock. Through IoT and analytics, present day management gets new opportunities, the expert says. In Russia, the new stadiums will get smart security systems and media centers, high-density WiFi, geopositioning and energy saving technologies. Mobile applications of football clubs and the stadiums themselves have been launched. It can still be said that the elements of the concept have not been implemented in their entirety, as some facilities lack WiFi, others have only partially introduced Digital Signage audiovisual complexes or have not adequately arranged the methods of interacting with the fans. The first test for the 2018 FIFA World Cup’s main stadium, Luzhniki in Moscow, ended in an embarrassment. On the eve of the first game at the newly refurbished stadium, Moscow Mayor Sergei Sobyanin had promised a world record of the 80 thousand audience being able to leave the stadium within seven minutes after the match is over. In reality, it took the visitors about two hours to leave the tribunes and triggered a storm of criticism in media and social networks. 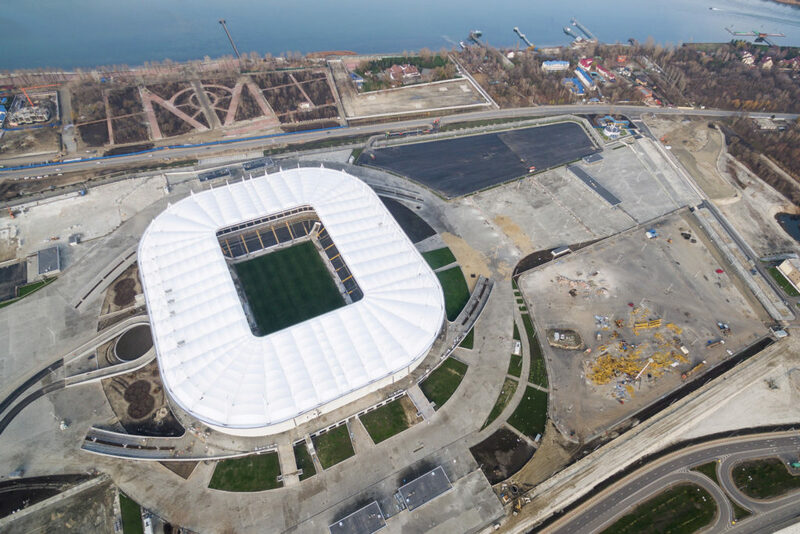 Officials explained the mishap by the specifics of the stadium and the fact the nearby Sportivnaya underground station was closed for renovation. They also promised to increase the number of the navigation signs at the arena itself, whereas smart technologies would certainly be better suited for resolving the logistics problems than any new signs. “Speaking of the Russian stadiums in general, regretfully, not all of them may be called smart stadiums, since they do not have sufficient number of technological innovations. I hope within two or three years they will get management teams aimed at generating additional revenues and, subsequently, employing advanced IT solutions. After all, sizeable operational costs are still there, and stadiums must meet them one way or another”, Alexey Chuvilin says. One of the most technologically advanced stadiums in Russia is Krasnodar Stadium. But it will be unable to hold 2018 World Cup matches since under the rules a region may be represented by only one stadium and Krasnodar lost the right to Sochi. At Sports.ru Internet portal Krasnodar was named the best Russian stadium with 45% of votes of the 50 thousand audience. According to StadiumDB portal, in 2016 Krasnodar Stadium was the third on the list of the world’s best stadiums, immediately following London Stadium and Vodafone Arena in Istanbul. The fundamental requirement of Sergei Galitsky, Krasnodar football club and Krasnodar Stadium owner, was quite clear. The arena must be the most innovative but the technical devices should not be visible. The refurbishment of the stadium took three years and nearly $ 325 million. According to Sergei Galitsky, he will never be able to recover the investments. Notwithstanding the traditional practice of muting mobile communication so that fans can not arrange provocations, the stadium has HD WiFi, its access points can handle over 12 thousand simultaneous connections at 2 to 5 Mb/s. A special antenna ensures quality communication at the stadium for the customers of different mobile operators. A special mobile application was developed for Krasnodar Stadium. Having downloaded it, a spectator can check the teams’ composition, read the history of the matches and the news, buy tickets to future games, and navigate about the stadium. The application and IT systems at the facility were developed by CROC who installed some 1,000 video cameras which feed imaging to the stadium management center. Data from numerous video cameras and sensors at runups to the stadium is also transmitted to the center. All imagings are displayed at a special videowall where a face recognition service can be enabled. When the stadiums for the 2018 FIFA World Cup are constructed, they will all become legacy and property of respective regions. The legacy mode envisages, in turn, the smart stadium concept. Nevertheless, technological infrastructure of sports facilities in Russia will not be of much help in resolving the problem of their cost recovery. Among the regions housing World Cup matches, far from all have local football teams capable to guarantee high tickets sales for their future matches. Sochi, for example, has no football team at all. Regions will hardly be able to arrange sporting events comparable in scale to the World Cup. The sports facilities will therefore have to be diverted and used for other purposes, whether business or cultural. But even in such a case, they will still be unable to gather forty thousand audiences, though. The President of Russia has instructed the government to consider ways of subsidizing in 2019 maintenance of football arenas in Volgograd, Yekaterinburg, Kaliningrad, Nizhny Novgorod, Rostov-on-Don, Samara and Saransk. An option of opening children’s sports schools and football academies at the facilities is also being considered. Russia risks to follow the path of Brazil. A technology intensive Mane Garrincha stadium in Brasilia built for the 2014 FIFA World Cup and worth $ 900 million, is currently used as a bus depot. Stadiums in Recife and Natal strive to cover some of their maintenance costs by housing wedding ceremonies and corporate parties. Two more football stadiums in Fortaleza and Porto Alegre accommodate concerts of pop and rock stars and services of visionaries. Only the main stadium of the past World Cup, Arena Corinthians in São Paulo, remains a football facility since it has become the home ground for a top Brazilian team, Corinthians Paulista. The stadium is willing to only derive its incomes from football. Investors and Sport Club Corinthians Paulista had expected the facility could generate up to $ 200 million per annum, but the stadium has not yet become self-sufficient. The aggregate spendings on constructing and equipping stadiums for the World Cup in Brazil reached $ 3 billion, whereas in Russia St Petersburg Stadium alone is worth $1.4 billion.